FilmTotaal is the biggest movie website in the Netherlands (no, really! ), and in its case, users actually respond to critics' reviews. Often not in the most gentle manner, as there's quite a few trolls and/or generally loudmouth, obnoxious people haunting the site. Reviewers posting their opinion of overhyped blockbuster films like this one usually know they can expect to be firmly hated upon. However, for BvS, I gotta say there's only a few posts illustrating strong disagreement - to put it mildly - with what I wrote about the film. In fact, it seems the majority of users agrees with me: BvS is rather a disappointment. Not entirely bad (it still looks great and there's some good performances and lovely action, you know), but definitely a letdown. Maybe the cause of its shortcomings is its director, Zack Snyder. He's been known to favour heavy topics surrounding flawed, traumatized characters living in unpleasant worlds filled with violent death. Even though he usually flavours said realms with a visually appealing, grandiose style of filming and fabulous artistry and dressing. Man of Steel, the movie to kick off this new DC Cinematic Universe which is meant to deliver some heavy competition at Marvel's doorstep, fit that bill perfectly, making the generally colorful and optimistic Superman a brooding alien refugee given near omnipotent power over his new neighbours, the human race. I liked Man of Steel. It made this God like character that much more identifiable by focusing on his lacks rather than his strengths. 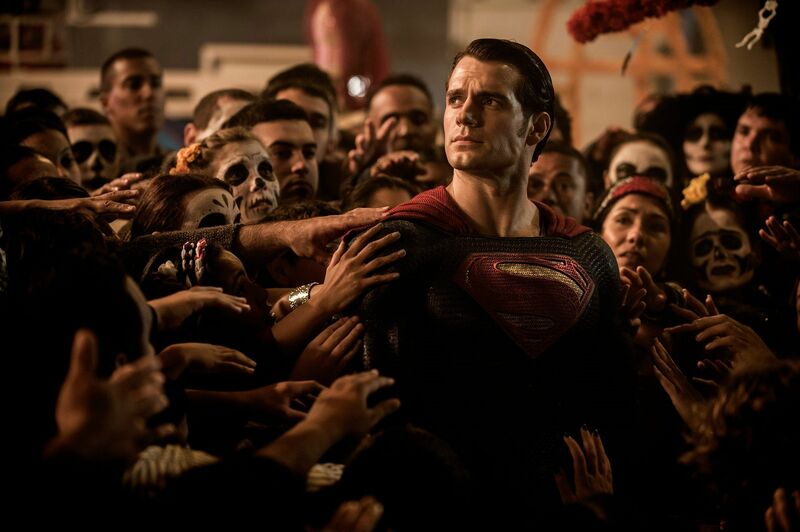 In its many philosophical moments, Man of Steel felt less like a superhero movie and more like a character study of a God living among man and contemplating his relationship with those who in all respects are so obviously inferior to him. Of course, that relationship is still explored in BvS, as the world now needs to cope with the existence of this powerful presence, a potential saviour to man. However, another type of hero has already been active for decades, it turns out. For in BvS, the DC universe is supposed to be up and running for decades already. No starting from scratch here, as was the case for Marvel. For every character introduced, there is a long backstory that is teased, which in many cases frustrates more than it intrigues. 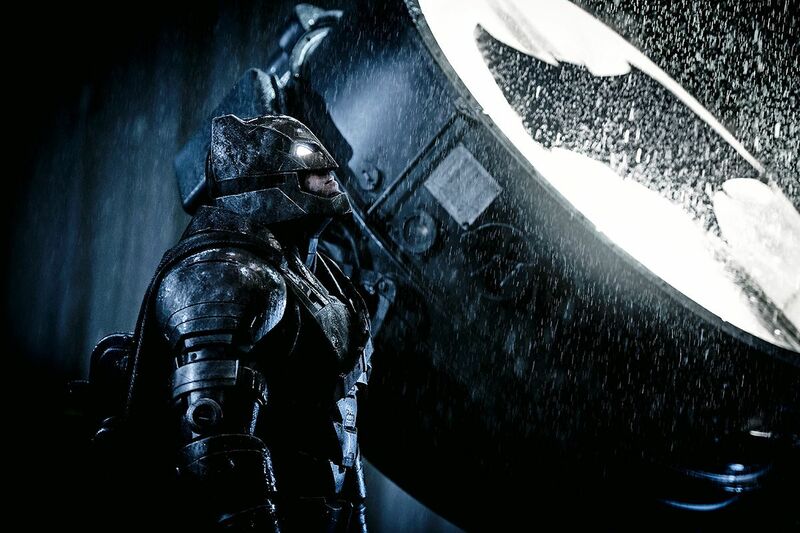 Ben Affleck's Batman has been fighting crime for twenty years, and it has only made him darker. Crime has not been reduced, while his war on bad guys preying on the everyman has cost him dearly. No wonder he's grown so angry he's not averse to maiming and even killing criminals left and right. The Batman we've grown accustomed to was never a true killer, but Snyder's Caped Crusader has no such moral qualms anymore. And now there's this all powerful extraterrestrial policing the planet. A being Batman holds responsible for the invasion that laid waste to Metropolis and cost him employees and real estate. Affleck does a fine job portraying the sombre, disillusioned vigilante, but it cannot be denied that his explicit aim of killing Superman, who has since amply demonstrated he's on the side of justice, just feels wholly unjustified. Meanwhile, as if the lethal rivalry between both tormented good guys was't enough to fill a two hour movie, Snyder introduces a younger version of classic villain Lex Luthor to pester them both. This evil tycoon, too, is haunted by a trauma involving his father, which is not enough to fully explain his demonic machinations in this film. What's more, Jesse Eisenberg's performance in the role is devoid of the 'wow' factor we would have hoped for. Applying a typical neurotic hyperactivity, Eisenberg is basically playing a nefarious version of his own Mark Zuckerberg. It doesn't make for a convincing baddie. Nor does Gal Gadot's Wonder Woman leave a lasting impression, which is also due to a lack of screen time (though 151 minutes certainly makes for a long piece already). Again, a shady past is implied but not explored. And so she leaves us confused by her transformation from uncaring socialite to warrior princess fighting for good. Of course, with a subtitle like 'Dawn of Justice', adding more spice to your duo of core characters for a broader context is expected. So we also get this evil genius and a strong female heroine. But wait, says BvS, there's much more yet. A number of other super heroes is teased. But for ow, we simply cannot care. Worse, the still fairly investing story line of the titular protagonists is hindered by awkward attempts to set up bigger things to come, including an Apocalyptic nightmare of Batman wherein he's plagued by visions of a ruined world ruled by Superman (including insect warriors, I kid you not). Succeeded by a scene in which that same Batman is confronted with a temporal vortex and a warning from the future to stop someone doing something, totally out of the blue. Pointless material, as we already knew Batman was out for Superman's blood and this doesn't motivate him any more. Despite all the useless interruptions provided by DC's self-advertisement for coming attractions (to which we simply are not attracted), it's amazing we still at least care about the two iconic superheroes battling each other.